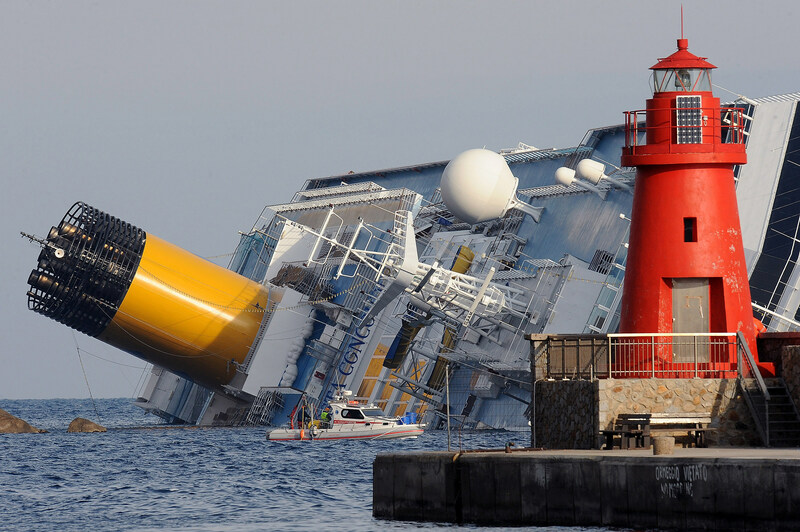 One of the strangest news stories in a long time has been the primary focus of most major news outlets recently, the sinking of the Costa Concordia off the Italian coast. So far 11 are dead with another 21 still missing. The folks at Poll Position recently asked 1,145 American adults what they would do on a sinking ship, if given the choice of staying on-board and waiting for help, or taking your chances in the water. Most of the respondents, 42-percent said they would take their chances in the water, while 29-percent said they would stay on the ship and wait for help. Another 29-percent did not have an opinion. Age played a big role in how people responded. People over the age of 65 overwhelmingly said they would stay on the sinking ship, while people in the 18-29 year-old group said they make a swim for safety. It's hard to imagine exactly what you would do unless you were actually faced with the choice which became the reality for more than 4,200 passengers.